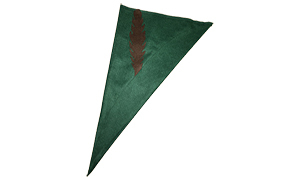 Forest green felt Robin Hood style hat with a red felt feather decoration. Good quality but cheap. Ideal for hen and stag parties. New softer feel honey colour bear. 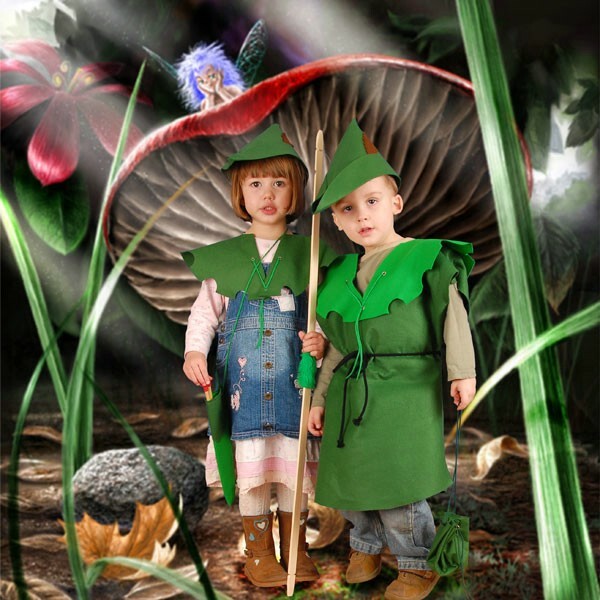 With a forest green felt tunic and hat and a contrasting green quiver. Packed with useful information making the book a must for an outlaw-fan or visitor to the county. 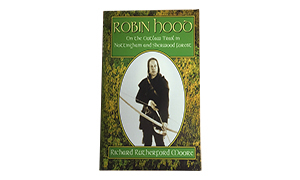 Welcome to the Robin Hood Secure online shop, from here we sell a large range of Robin Hood related products, from Robin Hood hats to musicals, Felt Tabards and some rare Robin Hood books. Please select a category above to browse through our range of products. Alternatively, click here to see all the products. When in the shop, you are able to browse the many items by selecting the types of products in the navigation to the left. You have found the right site if you are looking for any Robin Hood related goods. 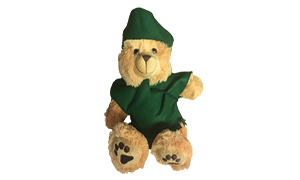 From Robin Hood books and stories, Robin Hood related toys, collectables and even Robin Hood bow and arrow sets, hats, cowls and other clothes and travel books. You should find all the information you require regarding how to order from our extensive range of Robin Hood products. If you are a keen Robin Hood fan, need fancy dress for a party or stag/hen do or would like to let your imagination take you back, this is the right site. Most items are despatched within two days, book orders may take four days to despatch. Delivery times vary according to the country you are in but few deliveries take more than five days. If an urgent or deadline delivery is required, please call the office on +44 (0)115 9245434 to confirm delivery times and that items are in stock. From a single Robin Hood hat to videos or books, we will always do our best to help. Search for a particular item, or a range of items, by entering a word in the search box and pressing search. Are you looking for things to do in Nottingham and Nottinghamshire? Please visit our guide for Restaurants in Nottingham, Attractions, Concerts, Theatres and much more, buy a Things to Do in Nottinghamshire Card and receive great discounts.